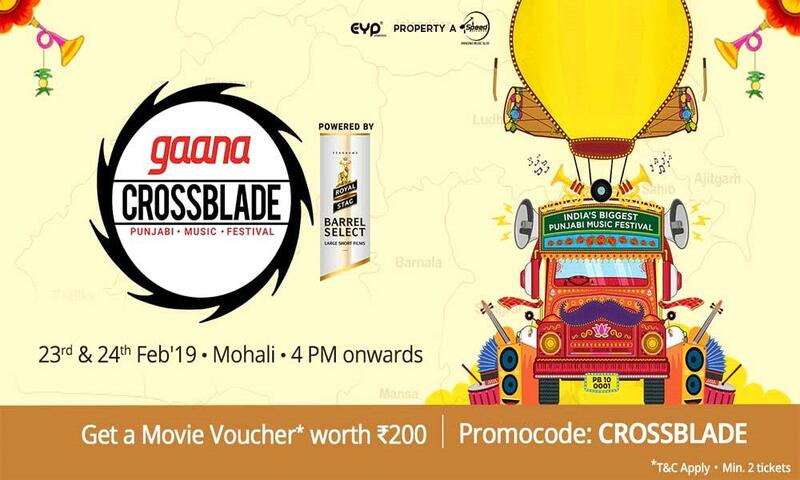 Gaana Crossblade Music Festival will live from 23rd to 24th of February 2019 at JLPL, Punjab. The Punjabi music festival, Gaana Crossblade is celebrating from 23rd to 24th of February 2019 to celebrate the origin and growth of Punjabi music. Gaana Crossblade Music Festival gives you the bigger, better and the best Punjabi music from across the world. The big fat Punjabi music celebration will live in an Uber cool atmosphere with vibes from nostalgia. Get a taste of India’s biggest Punjabi music festival in your city. This event will showcase the artist including Guru Randhawa, Raftaar, Millind Gaba and many more. Hurry Up! Book your seats at 8872610006 or at team@eypcreations.com.